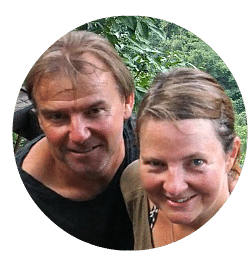 Audrey and Andrew Chalmers (“us”, “we”, or “our”) operates the https://www.gumnutsabroad.com/website (the “service”). Facebook adheres to the Self-Regulatory Principles for Online Behavioural Advertising established by the Digital Advertising Alliance in the USA http://www.aboutads.info/choices/, the Digital Advertising Alliance of Canada in Canada http://youradchoices.ca/, or the European Interactive Digital Advertising Alliance in Europe http://www.youronlinechoices.eu/ or opt out using your mobile device settings. We will disclose your Personal Information where required to do so, by law or subpoena or if we believe that such action is necessary to comply with the law and the reasonable requests of law enforcement or to protect the security or integrity of our Service. Your Data will be stored securely by our email marketing service when you opt-in to subscribe to Our service via filling in forms on Our site. You, the user, will maintain the “controller” of your Data. You can request us to delete your Data at any time by contacting us at gumnuts@gumnutsabroad.com or via the contact page. If you have any objection or complaint, contact us at gumnuts@gumnutsabroad.com and we will respond within the required period. Your information, including Personal Information, may be transferred to – and maintained on – computers located outside of your state, province, country or other governmental jurisdiction where the data protection laws differ than those from your jurisdiction. If you are located outside Australia and choose to provide information to us, please note that we transfer the information including Personal Information, to Australia and process it there. We retain information for as long as required, allowed or we believe it useful, but do not undertake retention obligations. We dispose of information at our discretion without notice, subject to applicable law that specifically requires the handling or retention of information. You must keep your own, separate back-up records. We do not knowingly collect personally identifiable information from children under 18. If you are a parent or guardian and you are aware that we have collected Personal Information from children under 18 without verification of parental consent, we take steps to remove that information from our services or replace it with the Personal Information of the Children’s parent or guardian.